Wonder if the building next to 909 will be Condos or Apartments? Even with all the new apartments that have started leasing it doesn't seem like the rents have come down. 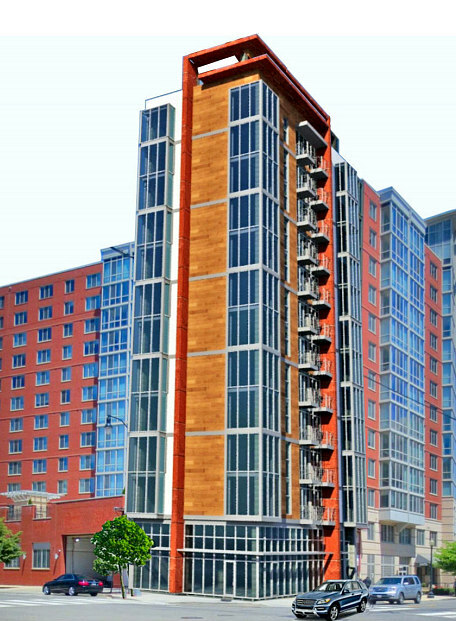 With all the upgraded amenities the average rent for a 1BR seems to have actually gone up. "summer sister spot" -- say that 10X fast. So those kiosks are obviously going to serve alcohol, so that begs the question, how far onto the boardwalk are patrons going to be allowed to stand/sit to drink it? Where will the boundaries be, I wonder? Anyone want to guess when work is going to start on Parcel L? The parking lot has been closed for a while now and there are no signs that anything is happening over there. I took a peak inside District Winery last weekend when they had the doors open for a potential wedding client who was seeing the place. Looking good! Clicked on the link to the GSA website - I forgot how there had been that desolate parking lot fronting M Street. I have gotten so used to the hotel being there already. - Taylor Gourmet and district winery both have signs up. Like RMP, I saw a wedding party (I assume) taking a hard hat tour. Anyone here anything about Anne's Wigs? Looks to be closed - no activity, grass growing up - but haven't heard anything about a sale. 1) Whole Foods can't take over their space until an approximately 1 foot grade disparity is fixed (in the progress). After that ground work is done and they get access to their space, should be about 6 months till opening. 2) The BID is going to put on some special 10-year anniversary parties, including a video that will feature JDLand images, do I remember that correctly? 3) The movie theater and surrounding buildings are completely at the beckon call of DC Water and their slow progress. The senior official the BID president spoke to didn't seem to be in much of a rush, ugg! 4) The BID is already very concerned about how self-driving cars will be a game changer for parking 10 years from now (making many parking spots obsolete as fewer and fewer own cars). 5) The BID is working with the Southwest BID to see about Circulator route changes. One proposed change is shifting the current Navy Yard route to go over to SW Marina and connect to L'Enfant but it would terminate at Eastern Market (not go up to Union Station) if I remember correctly. Sorry, I should have written these down a couple weeks ago right after the meeting. If I got any of the details wrong my apologies. Also, the homeless shelter came up and the BID president said that a few area developers had their high powered lawyers write up a letter that the city had broken some rules/laws in how they'd handled that process which seemed to freak out the city and put things at a standstill. 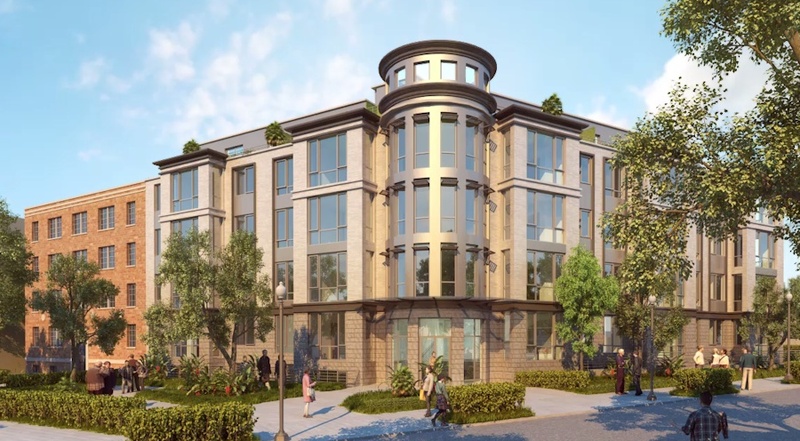 But the BID president and several area developers toured some similar sites around the city that DC was hoping to use as a model and all involved seemed to be less concerned (strong implication being that things might continue moving forward for some kind of "transitional housing"). Anyway, considering the GSA "For Sale" signs that recently went up, I'm guessing they came as a surprise to the BID as nothing was mentioned a couple weeks ago. As to #2, there have been early discussions about my "partnering" with the BID in terms of my "before" photos. They will be a hot commodity for the next year or so! @malatesta - The ABRA notice for Chloe went up sometime in the past week. The notice for Shilling has been up since April. One thing I noted when it was first posted is that Shilling is asking for "live entertainment on premise" as part of their license, Chloe is not. I'm not sure what that means exactly or how that's going to work out in a residential building. There were three "pop up concerts" in the vacant soon-to-be Chloe space during the 2016 JazzFest and it was pretty unbearable to be above those when they were happening. Fortunately that was a one-off thing. A 12-story building at the A-1 tires spot isn't going to do wonders for 909 CY residents looking for some early afternoon sun on the 2nd floor pool deck. (2) the renaming of the Capitol Waterfront neighborhood to something like "Dupreeville" or "JDLandria." JD-- thank you for posting. I was thinking of that orphan triangular park this morning as I ran past it. With the apartments across from the Brig and with 816 Potomac Ave, hopefully it creates some momentum to improve that park, which consists mostly of some overgrown grass, dog poop, and a few trees. I know that not every bit of open space needs to be an award-winning park, but the site currently doesn't offer too much. RMP: Your post apparently lit a fire under someone. The Parcel L parking lot asphalt demolition is now underway. In other news, those picnic benches at 1st and N (where the F1rst sales trailer was) are apparently for the return of the pop-up Rocklands BBQ offering on Nats game days. IMPORTANT UPDATE! We welcome a new tower crane to the neighborhood this morning, as a crane is being installed for the residential development across the street from Canal Park. Walking the border of JDland, and it amazes me how the area around the Bower and District Winery will soon go from a pretty empty area to one teeming with activity.